This week is all about chairs: three chairs, in fact! 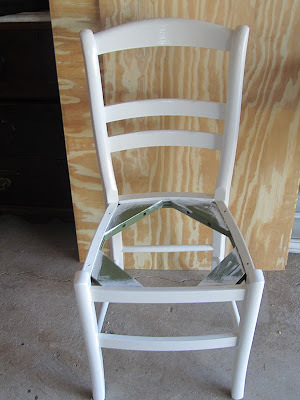 We needed a bunch and I found a bunch and with a little time, TLC, paint and fabric, I was able to transform them into great additions to the spaces in our home. 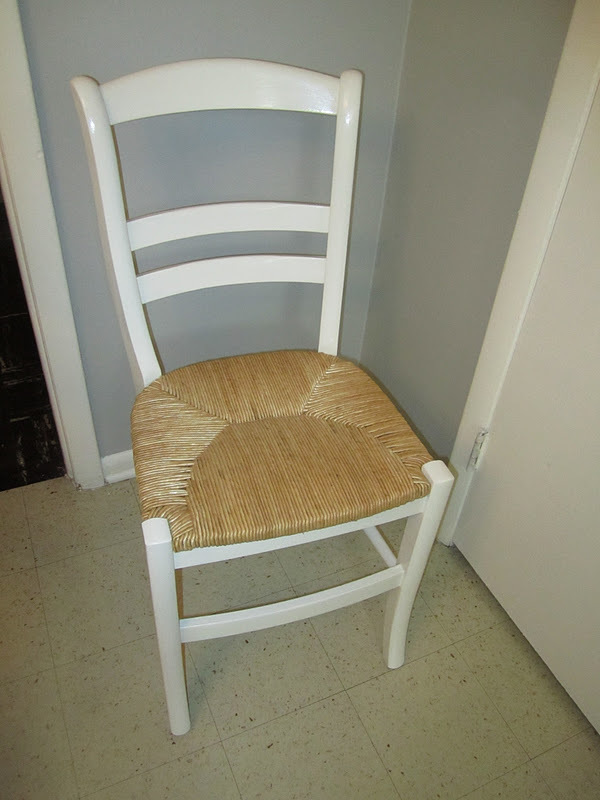 Up today: the chair for our desk in the kitchen. It is the Isabella chair, which retails for $140. It was priced at the outlet for $88 minus the 15% discount (and then I got the second chair free - more on that chair in a future post) -- so about $75. I got it in green, but they had black, red and one white at the outlet. Unfortunately, the white chair had a big crack in the frame, which I did not feel like dealing with. I knew I'd have to paint the chair and green seemed like the easiest color to paint over. So green it was. I will note that I saw a seagrass chair there that I literally stopped in my tracks and drooled over. It was a little pricier (I think it was around $100) but still less than the retail version at $160. I loved it, but I'm practical and my cat would Destroy with a capital D it. So that beauty stayed at the outlet. And here it is with the rush seat back on! I'm super thrilled with this transformation. What do you think? Stay tuned for two more posts this week about chairs on the cheap! It looks great in your kitchen, and I love how the rush seat adds some texture. I'm laughing at Owen's comment about the "straw". Looks great! The white looks so fresh and clean! WAY better than the green. Love it! You are a painting machine! Thanks! 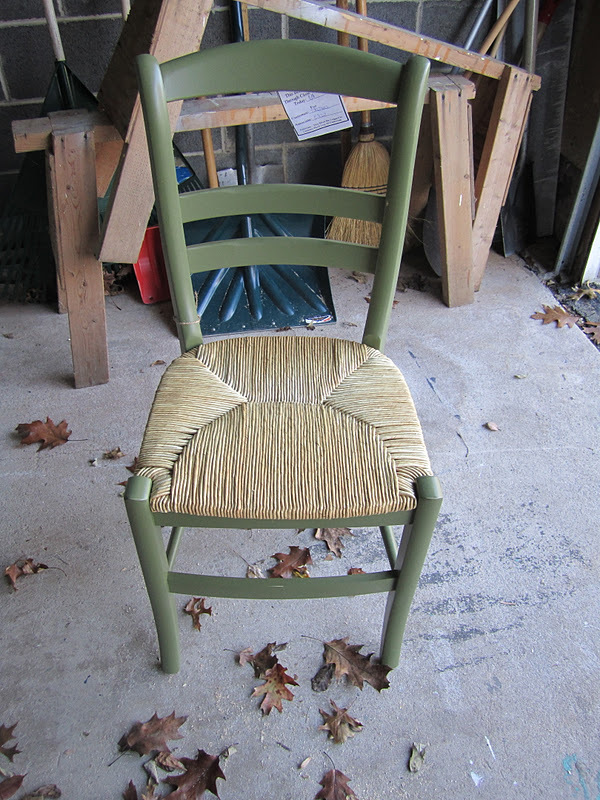 I don't know why I even debated the color - it was almost a given I'd end up painting the chair white. Ha. White--so classic! I love the new look! you just need to move that jack lower and back...do some research, I'm sure you can handle it. Congratulations! You are the winner of my Shabby Apple Dress giveaway. I need your e-mail address so that I can forward it to Shabby Apple. Thanks and congrats.